Objectives. Preoperative imaging studies are commonly used in the diagnosis of primary hyperparathyroidism to increase the success rate of surgery. In the present study, we aimed to correlate surgical outcomes with the sensitivity of localization studies that were performed by various radiologists. Methods. One hundred eighty-nine patients with preoperative diagnosis primary hyperparathyroidism were included. A total of 174 patients in whom hypercalcemia had been cured by parathyroidectomy, were evaluated retrospectively. In total, 184 lesions were excised from these 174 patients. Ultrasonography (USG) and technetium-99m-methoxy isobutyl isonitrile (99mTc-MIBI) imaging yielded correctly localized lesion in 74 and 108 patients, respectively. Results. The specificity of USG and 99mTc-MIBI imaging were similar (95.9% and 95.0%, respectively). However, the sensitivity was not satisfactory (45.9% for USG, 62.4% for 99mTc-MIBI). The gland size was not significant for the rate of lesion detection by 99mTc-MIBI scan or USG. Significant differences were not observed between the preoperative serum parathormone, serum calcium or 24-hour urine calcium excretion levels and the success rate of localization with either USG or 99mTc-MIBI. Conclusions. Radiologist experience in ultrasonographic parathyroid imaging was found to affect sensitivity. Therefore, surgeons, radiologists and endocrinologists that perform ultrasonographic evaluation should have extensive experience. Madkhali T, Alhefdhi A, Chen H, Elfenbein D. Primary hyperparathyroidism. Ulus Cerrahi Derg 2016;32:58-66. Cordellat IM. Hyperparathyroidism: primary or secondary disease? Rheumatol Clin 2012;8:287-91. Grosso I, Sargiotto A, D’Amelio P, Tamone C, Gasrarri G, De Filippi PG, et al. Preoperative localization of parathyroid adenoma with sonography and 99mTc-sestamibi scintigraphy in primary hyperparathyroidism. J Clin Ultrasound 2007;35:186-90. Kaplan EL, Yashiro T, Salti G. Primary hyperparathyroidism in the 1990s. Choice of surgical procedures for this disease. Ann Surg 1992;215:300-17. Bilezikian JP, Khan AA, Potts JT Jr; Third International Workshop on the Management of Asymptomatic Primary Hyperthyroidism. Guidelines for the management of asymptomatic primary hyperparathyroidism: summary statement from the third international workshop. J Clin Endocrinol Metab 2009;94:335-9. Ebner Y, Garti-Gros Y, Margulis A, Levy Y, Nabrisky D, Ophir D, et al. Parathyroid surgery: correlation between pre-operative localization studies and surgical outcomes. Clin Endocrinol 2015;83:733-8. Medas F, Erdas E, Longheu A, Gordini L, Pisano G, Nicolosi A, et al. Retrospective evaluation of the pre- and postoperative factors influencing the sensitivity of localization studies in primary hyperparathyroidism. Int J Surg 2016;25:82-7. Berber E, Parikh RT, Ballem N, Garner CN, Milas M, Siperstein AE. Factors contrubiting to negative parathyroid localization: an analysis of 1000 patients. Surgery 2008;144:74-9. Erbil Y, Barbaros U, Yanik BT, Salmaslioğlu A, Tunaci M, Adalet I, et al. Impact of gland morphology and concomitant thyroid nodules on preoperative localization of parathyroid adenomas. Laryngoscope 2006;116:580-5. Chandramohan A, Sathyakumar K, Irodi A, Abraham D, Paul MJ. Causes of discordant or negative ultrasound of parathyroid glands in treatment naive patients with primary hyperparathyroidism. 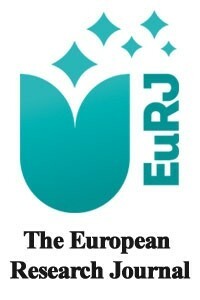 Eur J Radiol 2012;81:3956-64. Noda S, Onoda N, Kashiwagi S, Kawajiri H, Takashima T, Ishikawa T, et al. Strategy of operative treatment of hyperparathyroidism using US scan and (99m) Tc-MIBI SPECT/CT. Endocr J 2014;61:225-30. Vitetta GM, Neri P, Chiecchio A, Carriero A, Cirillo S, Mussetto AB, et al. Role of ultrasonography in the management of patients with primary hyperparathyroidism: retrospective comparison with technetium-99m sestamibi scintigraphy. J Ultrasound 2014;17:1-12. Dy BM, Richardas ML, Vazquez BJ, Thompson GB, Farley DR, Grant CS. Primary hyperparathyroidism and negative Tc99 sestamibi imaging: to operate or not? Ann Surg Oncol 2012;19:2272-8. Norman J, Lopez J, Politz D. Abandoning unilateral parathyroidectomy: why we reversed our position after 15,000 parathyroid operations. J Am Coll Surg 2012;214:260-9. Elaraj DM, Sippel RS, Lindsay S, Sansano I, Duh QY, Clarck OH, et al. Are additional localization studies and referral indicated for patients with primary hyperparathyroidism who have negative sestamibi scan results? Arch Surg 2010;145:578-81. Mihai R, Gleeson F, Buley ID, Roskell DE, Sadler GP. Negative imaging studies for primary hyperparathyroidism are unavoidable: correlation of sestamibi and high-resolution ultrasound scanning with histological analysis in 150 patients. World J Surg 2006;30:697-704. Kebebew E, Hwang J, Reiff E, Duh QY, Clarck OH. Predictors of single-gland vs multigland parathyroid disease in primary hyperparthyroidism: a simple and accurate scoring model. Arch Surg 2006;141:777-82. Milas M, Mensah A, Alghoul M,Berber E, Stephen A, Sperstein A, et al. The impact of office neck ultrasonography on reducing unnecessary thyroid surgery in patients undergoing parathyroidectomy. Thyroid 2005;15:1055-9. Vassy WM, Nelson HS Jr, Mancini ML, Timaran CH, Hall NC, Smith GT. Minimally invasive parathyroidectomy: how effective is preoperative sestamibi scanning? Am Surg 2003;69:1090-4. Bentrem DJ, Angelos P, Talamonti MS, Nayar R. Is preoperative investigation of the thyroid justified in patients undergoing parathyroidectomy for hyperparathyroidism? Thyroid 2002;12:1109-12. Ozkaya M, Elboga U, Sahin E, Kalender E, Korkmaz H, Demir HD,.et al. Evaluation of conventional imaging techniques on preoperative localization in primary hyperparathyroidism. Bosn J Basic Med Sci 2015;15:61-6. Johnson NA, Tublin ME, Ogilvie JB. Parathyroid imaging: techniqueand role in the preoperative evaluation of primary hyperparathyroidism. AJR Am J Roentgenol 2007;188:1706-15. Rodriquez J, Parrilla P. Localization studies in persistent or recurrent hyperparathyroidism. In: Clark OH, Duh QY, Kebebew E, editors. Textbook of endocrine surgery. Philadelphia: Elsevier Saunders; 2005, pp.430-8.